A baffling item, perfect for a kids show. Show a clear, empty glass and add a ball to show its normalcy. After removing the ball and covering the glass with a silk, a coin is added on top so the silk slowly sinks to the bottom. The ball is added on top of all. 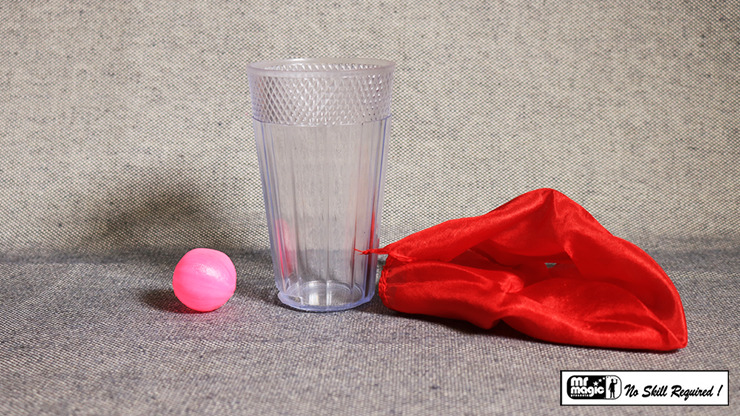 Miraculously, you can pull the coin and silk out of the bottom of the glass, leaving the ball behind!